Scott McKenzie, Who Sang 'San Francisco' In The Summer Of Love, Dies : The Two-Way The gentle song became a hit and captured the spirit of what was happening in San Francisco that year. McKenzie was 73. 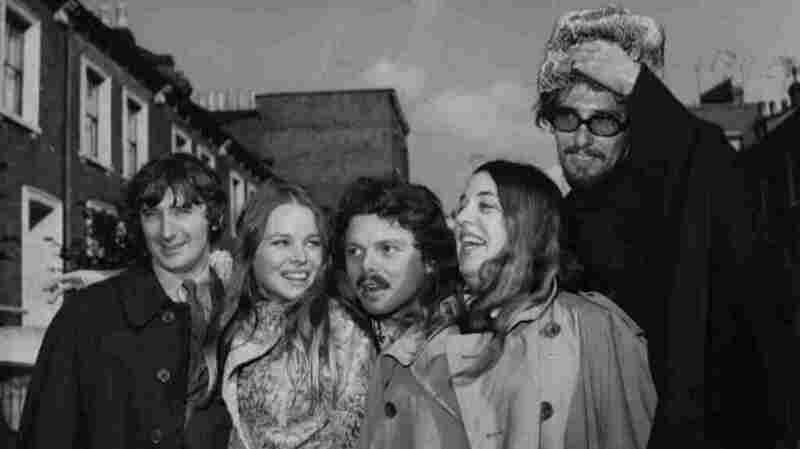 Scott McKenzie, center, with the members of The Mamas and the Papas in 1967. John Phillips, far right, wrote San Francisco (Be Sure to Wear Flowers in Your Hair). McKenzie died Saturday. He sang a gentle song that became a hit and something of a theme song for 1967's "Summer of Love." Scott McKenzie, best known for San Francisco (Be Sure to Wear Flowers in Your Hair, died Saturday in Los Angeles. He was 73. According to the singer's website, he "had been very ill recently and passed away in his home after two weeks in hospital." The Associated Press says he "had battled Guillain-Barre Syndrome, a disease that affects the nervous system, and had been in and out of the hospital since 2010." San Francisco, the AP reminds us, was written by John Phillips of The Mamas and the Paps. McKenzie could write songs as well. He co-wrote The Beach Boys' 1988 hit Kokomo. Haven't heard San Francisco in a while? McKenzie's website has it playing here.